Mike Piazza recounted his minor league career and his third pro season, his season at high-A Bakersfield, stuck out for the quality of his teammates, he wrote in his book "Long Shot." He mentioned some obvious high-profile teammates - and one not-so-obvious, Billy Lott. "We had a stacked team that year," Piazza wrote. "Billy Lott was on it, but most of the hype was over Raul Mondesi and Pedro Martinez." While Piazza, Mondesi and Martinez went on to long careers in the majors - Piazza and Martinez to the Hall of Fame - Lott's career went a different path. Lott played nine pro seasons. He never made the majors. Lott's career began in 1989, taken by the Dodgers in the second round of the draft out of Petal High School in Mississippi. Lott came from a pro sports background, his father Billy Lott played in the AFL for the Giants, Raiders and Patriots. With the Dodgers, Lott started in the rookie Gulf Coast League. 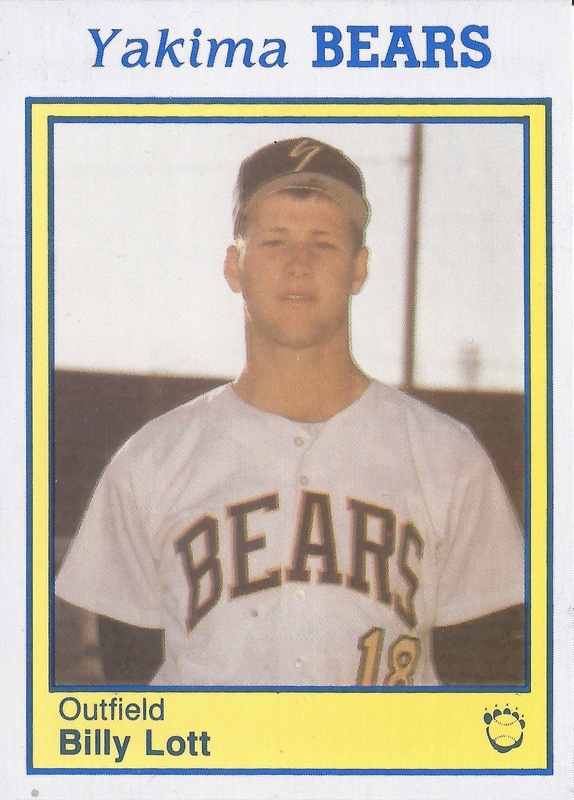 He made short-season Yakima and high-A Bakersfield in 1990. The outfielder hit .249 on the year. He returned to Bakersfield for all of 1991. He threw out a runner in an April game and also walked and scored. He hit .223. Lott made high-A Vero Beach for 1993 and AA San Antonio in 1993. He picked up three hits in a July game for San Antonio. Lott returned to San Antonio for 1994. He singled and scored in a May game and knocked an RBI double and single in another game that month. Lott hit AAA in 1995 at Albuquerque and again in 1996, but he didn't see Los Angeles. He then played one more season at AAA with the Pirates and Expos to end his career short of the bigs.